I was just about to file an SR – and quick search shows that someone else has already had this problem. – Oracle OBIEE 10.1.3.4 is not supporting MS Office 2007. – We are trying to download a report from answers to Excel 2007 but its downloading as Excel 2003. The file you are trying to open, ‘Test.xls’, is in a different format than specified by the file extension. Verify that the file is not corrupted and is from a trusted source before opening the file. Do you want to open the file now? If I click on Yes button, I am able to open the report. test.xls may contain features that are not compatible with Single File Web Page. Do you want to keep the workbook in this format? – To keep this format, which leaves out any incompatible features, click Yes. – To preserve the features, click No. Then save a copy in the latest Excel format. – To see what might be lost, click Help. I have to click on Yes button then it can be saved. I should update and save this 2003 excel type on excel 2007 without any warning message. Only Administrators have permission to add, remove, or configure server software during a Terminal services remote session. If you want to install or configure software on the server, contact your Network Administrator. 1. Excel 2003 documents can be opened in Excel 2007. This issue applies to Versions 10.1.3.3, 10.1.3.3.1, 10.1.3.3.2, and 10.1.3.3.3. It is fixed in version 10.1.3.4. In Microsoft Excel 2007, users cannot insert views that have more than 65536 rows. This is because Oracle BI Office uses an Excel 2003 based template, which has a limit of 65536 rows per sheet. So, template used is for Microsoft Windows Excel 2003. 3. There is an Enhancement Request already filed asking to use an Excel 2007 template. It is Document Bug 6970162, “Abstract: DOWNLOAD TO EXCEL REQUIRES TRANSLATION WHEN OFFICE 2007 INSTALLED”. It is set to be reviewed for future versions. It has not yet been approved to be included in a particular version. It is an Excel 2007 issue. ORACLE cannot be responsible for giving you solutions for Microsoft Excel Issues, as it is not our area. You could google the error. Nevertheless, we are giving you an example of one of the documents available in Google for that error. Please, be aware it is being given as a guideline, if you want to try it. This errors particularly occurs when you’re trying to open an XLS file (Excel 2000-2003) with Excel 2007. In most cases, the problem can be solved by defining MIME types and associating them with extensions. Verify that the data has the value “0? You could talk to your Microsoft Excel Support to verify the workarounds given above, or to provide another solution. It seems to be due to OBIEE using mhtml when exporting to Excel. There is an Enhancement Request already filed, Document Bug 5661454, “ABILITY TO GET EXCEL VIEWER WORKING WITH ‘DOWNLOAD TO EXCEL'”, requiring changing Excel download from MHTML to native Excel format. It has been approved to be included in OBIEE 11.1.1.2.0. Document Note 749436.1, “Download to Excel from reports downloading as HTML/MHTML rather than ‘real’ Excel”, explains more about that. The Microsoft Office Excel 2007 Workbook format (.xlsx) preserves all worksheet and chart data, formatting, and other features available in Office Excel 2007, and the Macro-Enabled Workbook format (.xlsm) preserves macros and macro sheets in addition to those features. If you frequently share workbook data with people who use an earlier version of Excel, you can work in Compatibility Mode to prevent the loss of data and fidelity when the workbook is opened in the earlier version of Excel, or you can use converters that help you transition the data. For more information, see Use Office Excel 2007 with earlier versions of Excel(http://office.microsoft.com/en-us/help/HA100775611033.aspx). These Web Page file formats (.htm, .html), Single File Web Page file formats (.mht, .mhtml) can be used for exporting Excel data. In Office Excel 2007, worksheet features (such as formulas, charts, PivotTables, and Visual Basic for Application (VBA) projects) are no longer supported in these file formats, and they will be lost when you open a file in this file format again in Excel. You would need to verify them with your Citrix Support, as they cannot be reproduced outside Citrix. The error text seems to say you do not have permissions to write in the TEMP directory for IE to create a temporary Excel file. It is a Windows issue also, apparently. If you’re a Linux enthusiast – I think you will find it helpful and amusing (now you can say “yes” if someone asks whether they can run admin tool on Linux). It seems as there’re some potential licensing issues – but in general the community is excited. 3. I’ve finally started tweaking with Essbase. The stand-alone installation took me several attempts to make it perfect (all green) based on Tim Tow’s tutorial as well as Nico Gerard’s instructions. So far working with sample apps and trying to import ragged hierarchies. I understand why people love the product – the UI is very clean – and many things make sense. I wonder if Integration Services would prevent some shops running Essbase exclusively not to migrate to OBIEE. 4. No update on OBIEE forum. But I’d like to invite anyone willing to collaborate to leave a comment. I suggest we start a google wave (let me know if you need an invite) to discuss which things should be in focus. My google wave is andriy.yakushyn@googlewave.com – please add me to your contacts and let’s get started. If you had problems using EVALUATE function – please look at the following SR that I just found. Apparently, the work-around is to use CAST function. The query fails and the following error occurs. Query Status: Query Failed: [nQSError: 46035] Datatype(DOUBLE PRECISION) nullable(1) unicode(1) external char(0) conversion to datatype(TIMESTAMP) nullable(1) unicode(0) external char(0) is not supported. These columns are from W_DAY_D. These are type date which the function is expecting. The function returns a number. Due to this issue, this is holding up resolution of a critical issue on the delivery of the project – which plans to go live next Friday (30th October). It will set the data type of the column to INT because ROWID is also INT. However my_function does not return an INT but a REAL. [nQSError: 46035] Datatype(DOUBLE PRECISION) nullable(1) unicode(1) external char(0) conversion to datatype(TIMESTAMP) nullable(1) unicode(0) external char(0) is not supported. Customer was asked to do an explicit CAST to set the datatype to the datatype of the value that will be returned by my_function. The above resolved the issue. 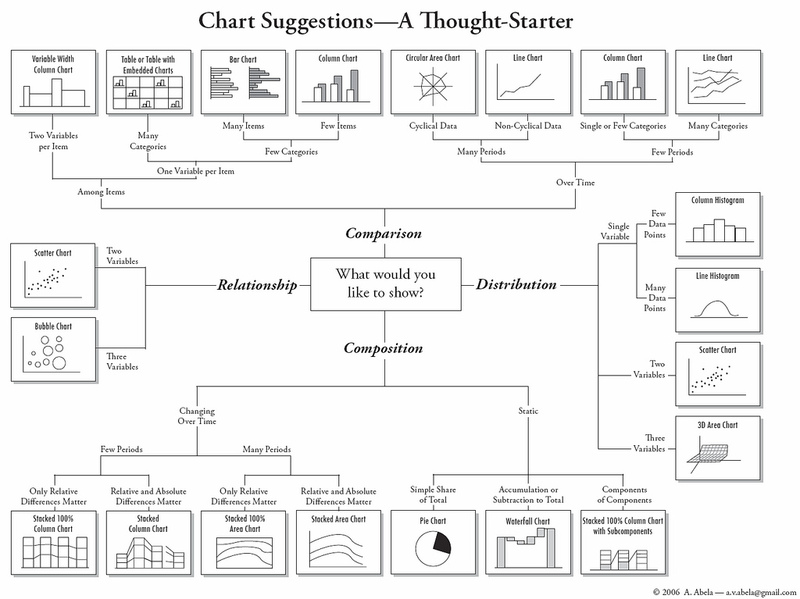 Great visualization of which chart to choose. Those are small things – but they could get a lot of brownie points for developers – they would make OBIEE look hip and modern. I really loved the interactive bouncing charts. Not terribly original – but they do create a better experience. Think about users! I think that the future hold tighter web integration (xml / ajax) for BI systems as well as some great UI. Just look at Iphone – their UI was one of the major reasons for their success. I noticed the trend that many products get that slick look (salesforce, qlickview) – and I hope OBIEE 11G isn’t far behind. I’ve not had a chance to look at it hand-on (just screenshots from presentations) – but again – I hope that product managers looks closely into user experience. The latest version isn’t bad at all – but it’s not far away from distant siebel analytics’s screen/layout. I hope developers would get the facility to customize front-end more liberaly (right now – it involves a lot of xml hacking if you go beyond some CSS stylesheets).